I’m delighted to have you visit Café Cala. 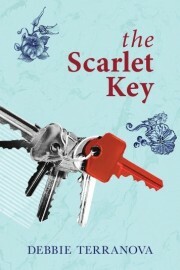 I’ve just finished reading The Scarlet Key and loved it as much as I did Baby Farm. Loved meeting Seth again. I’ve been making savoury muffins this morning. Would you like tea or coffee with yours? Mmmm, the muffins smell great! A nice coffee would go down a treat. 1 Where did you get the idea for The Scarlet Key? You’ll never believe it: a visit to Bunnings. I’m a bit of a hardware junkie, so I love the chance to wander the aisles checking out the latest in paint, gadgets, and fertilizer. In the coffee shop was a woman whose skin was a garden of fresh tattoos. She would have been in her mid-fifties. Grey hair, rotund, dressed in baggy shorts and a t-shirt. This was a few years back, when the ink-art thing was in its infancy. A middle-aged woman with tattoos really stood out. One question kept playing on my mind. Why? A seed was planted. Over the next few years an imagined ‘biography’ for the tattooed lady expanded and evolved. Eventually it blossomed into a full-blown crime mystery called ‘The Scarlet Key’. Wow! And, reading it, I’m impressed by the research you must have done on tattoos and tatooists! The rush of adrenaline when the first carton of books arrives from the printers. The smell of cardboard as you cut it open, the rustle of bubble wrap, the pristine smoothness of the cover. This is something you have created, something that did not exist before and exists now. This is the moment you can truly savour the result of three years labour. In a way it’s like giving birth, only without the physical agony. In my day job I do lots of business writing: reports, submissions, memos. All the left-brain stuff that leaves you feeling spent at the end of the week. (sounds familiar) For ages I wanted to try my hand at creative writing but never had the time. Then my children grew up and moved away, and my husband took a job interstate. With the house to myself most week nights, I replaced TV-watching with writing. That was about six years ago and I’m still loving it. Finding a tribe of other writers right here in Brisbane. For me writing is a solitary head-in-a-corner occupation. If I try to write in a coffee shop or a library, there are too many distractions. When people are around, my attention-span is shorter than a goldfish. I also tend to eavesdrop on everyone’s conversation, which can get me into trouble at times. By nature I’m not a recluse, so I need to get out and about to keep up my energy levels. What could be better than talking to friends with the same passion (or should I say ‘obsession’)? My second novel ‘The Scarlet Key’ has just been released, so I’m currently in marketing mode. It’s a ‘crime mystery with a conscience’, about life, love, death and tattoos. Between now and Christmas I’ll be appearing in several Brisbane bookstores. Dates and times are on my website. Next year I’ll be doing author talks in libraries and writing my next book. The working title is ‘Sentenced without a Trial’. It’s a narrative non-fiction about the Australian government’s imprisonment of thousands of Italian-Australians during the Second World War and the impact it had on their lives. Don’t just talk about writing, do it. Make writing a habit. Don’t put it off or make excuses. Set aside a little time every day. Keep on writing until your story is finished. Then edit, edit, edit. Most of my favourite authors are Australian. I enjoy reading popular authors such as Kate Grenville, Venero Armanno, Kate Morton, and Hannah Kent. But I also love reading work from my local tribe of authors: Nene Davies, Davide Cottone, Lucretia Ackfield, Noelle Clarke, Kylie Kaden, to name a few. 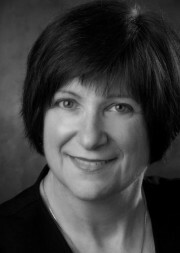 You can learn more about Debbie Terranova by visiting the Terranova Publications website. You can also like her on Facebook and follow her on Twitter. ‘The Scarlet Key’ and Debbie’s first novel ‘Baby Farm’ are both available as paperbacks for $25 (including postage anywhere in Australia). They are also available as eBooks from online stores such as Smashwords and Amazon.